In Your Business, time is money and precision matters. That’s why our vans come to you equipped for any eventuality. We pride ourselves on carrying the largest mobile inventory in the industry. We invite you to tour our mobile service center. 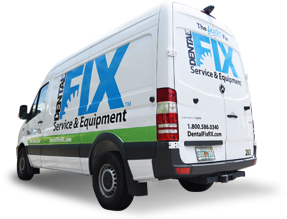 Whether it’s a broken handpiece, a leaky sterilizer, or a ripped, unsightly chair, you can rely on our on-site repair technicians. Fastest turnaround time in the industry. We fix high-speed, electric, and low-speed handpieces, as well as other small equipment. If your air compressor is down, we provide same-day service. We have loaners available to get you back up while the repair is being made. We stock the most frequently used parts right on our vans. We offer refurbishing, repair, preventive maintenance, and calibration. Services include repair, installation and calibration. With our free loaner, we can keep your practice producing while we repair your pump. We are equipped with the tools and the most frequently needed parts to quickly get your pump in good working order. When it comes to chairs and delivery units, we do it all - from repair to reupholstery and refurbishing. When you have a repair need or just need routine maintenance, we are a simple phone call away. 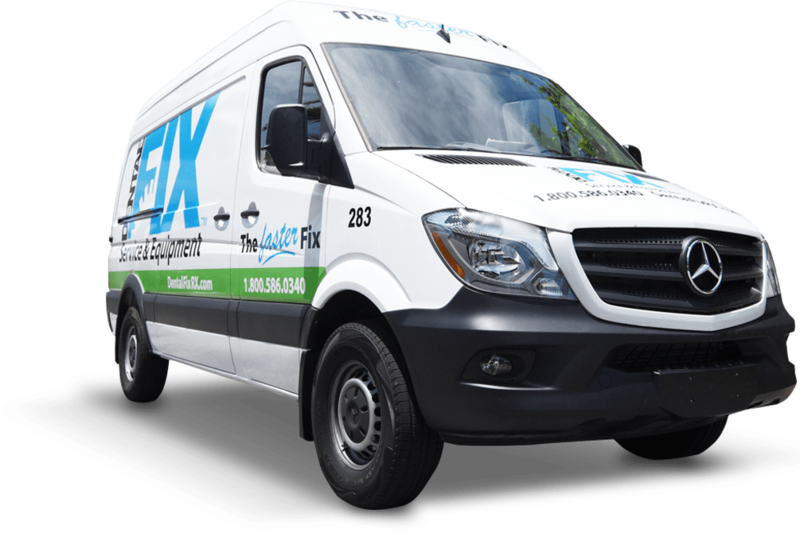 With 24/7 answering service, we will schedule and dispatch a technician to provide the service you need and you just ... pay as you go. Join Our Exclusive Unlimited Service Plan & Get Service for One Low Monthly Fee. Highly Knowledgeable Technicians, Dedicated to Helping You Profit. Want to decrease your downtime and increase the lifespan of your equipment? Consider our Ultimate Service Plan. Whether it’s maintaining a single piece of equipment, or outfitting an entire office, we will work within your budget to increase your return on your equipment investment. We understand that neither you or your patients have time to stop for broken equipment. 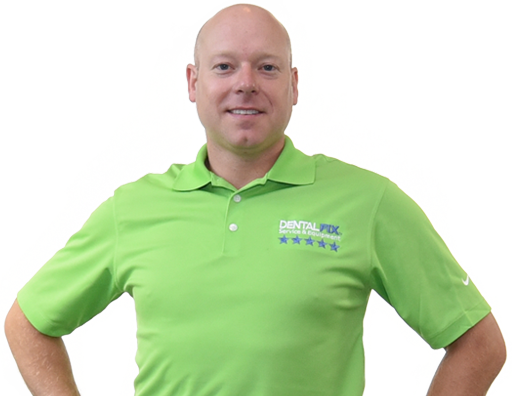 When you choose Dental Fix Rx, your local technician will arrive quickly, and your work will be done on-site. We’re known for having the fastest turnaround time in the industry. We’re more affordable than the competition, and you’ll have access to FREE loaner equipment (for compressors and vacuum pumps) in the meantime.